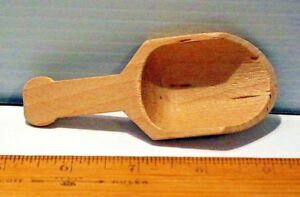 3" Wooden Scoop New Unfinished Wood Made in the USA!! Set of 4 New Raw Unfinished Wood Craft Circle Ring Lot Made in USA! Details about 4" Wooden Scoop New Unfinished Wood Made in the USA!! 4" Wooden Scoop New Unfinished Wood Made in the USA! !